Things can get slightly more complicated if the jargon that the banks or the mortgage advisor use seem foreign or even alien to you. Terms like base lending rate or lock-in period can easily get lost in translation. Fret not for you’re not facing this alone. We’ve decided to create a guide on how you can be well informed on mortgage loans by the time you’re saying yes to your future home. Caution: This would be a lengthy post, but hey, more information you’ll get from it right? Let’s get started, shall we? Am I looking at a Term Loan, Semi-Flexi Loan or a Full Flexi Loan? This is particularly important as you need to understand the concept before making the BIG decision that could affect you financially in the next few years. So what’s the difference between these home loans? Before we got into the contrast of these terms, firstly you need to understand the meaning of principal and interest. As mentioned in the previous First Time Home Buyer article, the principal is the amount that you originally agreed to pay the bank whereas the interest is the cost of borrowing the principal. And in most cases, the monthly payment that you made is to pay off the interest first instead of the principal amount. So it is best to choose the type of loan that offers you the flexibility to pay for the interest as well as the principal amount owed. A Term Loan is a fixed repayment schedule loan. A person who opted for this type of loan would have to stick to the payment amount. In some situation that they decided to pay more than the allocated figure in hope to reduce the principal amount owed, one has to write to the bank to make the arrangement. And in most cases, if they wish to take out the money in case of an emergency, it won’t be an easy feat. Hence in the first few years, you’ll basically be paying off only the interest and not the principal amount owed. Sounds rough huh? This was the case quite some time ago. Nowadays the conventional term loan offered by the major banks are mostly Semi-Flexi Loan. Semi-Flexi Loan is a modification of the conventional Term Loan offered by the banks that provided better flexibility. Its a loan option for those who would like to make an additional payment to reduce the amount of principal owed. Although it does not offer full liquidity (access to withdraw the money as one pleases) to its lender, it is flexible enough for one to withdraw the money by simply requesting it via the Internet Banking portal. However, some banks still require you to write to the bank to make the withdrawal arrangement. Bear in mind as well that this request would incur some processing time and a fee ranging between RM50 to RM100 for each withdrawal. Full Flexi Loan, on the other hand, offers full frontal flexibility where the customers are allowed to withdraw or put in money as they please, without any charges or arrangement incurred. A current account is usually attached to the loan. The amount in the current account will be used to deduct the installment (in this case mostly the interest) as scheduled so any additional amount in the account will be used to reduce the principal amount owed. A fee of RM5-10 monthly will also be charged for the maintenance of the account. Sounds convincing, right? But not all banks offer this type of loan and usually Term Loan offers a better interest rate than a Flexi Loan. You’re probably wondering which type of home loan you should go for. It actually depends on your financial situation. If you have some extra cash to spend then you should go for a Flexi Loan as it will aid you in saving some interest payable. However, if you don’t have the extra advantage of having cash lying around then go for the Term Loan as it will offer you a better interest rate. Always do some research before you go for a particular bank for a home loan to get the best interest rate. Even a minuscule different on the interest rate percentage would implicate thousands of ringgit to your finances. So be wary to the different rate offers by the bank. One way to discover the interest rate of different banks is to ask mortgage advisers of the banks. If you don’t have the privilege of time to do this, there are few online sites that do comparisons of the different interest rate offers by the different banks. Google for these sites. Want to know an insider tip? Apply for multiple loans (don’t sign any offer letters yet), and when you receive the offer letters from the banks that you are eligible for, use this as a vantage point, a bargaining tool for you to get a better rate with the bank that you are more keen to get a loan. Bank Negara regulates the Base Lending Rate (BLR), as is used as the basis to calculate the Variable Interest Rate (VIR), a rate that fluctuates with the market condition. The BLR will be minus with the variable home rate. As an example, if the BLR is 6.6% and the variable rate for your home loan is -2.3%, then your actual home interest rate (6.6% – 2.3%) is 4.3%. The Fixed Interest Rate (FIR), on the other hand, remain stagnant during the overall loan period. Say the fixed interest rate is 8% p.a, your outstanding loan amount will be charged at an interest of 8% p.a until the entire loan has been paid off. It has been known that usually, the FIR has a higher rate compared to VIR. So which one should you opt for? Most people would go for VIR as the rate is usually lower than FIR, however, one should bear in mind that the BLR fluctuates. So if the VIR rise at a very high rate you’ll probably pay for a higher interest rate than the one who opted for FIR. There is no final says in regards to this matter. It is all based on how you counterbalance the benefits and risk of the two type of interest rate. Aside from paying attention to the interest rate that your paying, you should also be cautious of the lock-in period of your home loan. Lock-in period essentially refers to the period of time that you’ll be charged with a penalty should you decided to pay a full loan. The rate of the penalty usually varies between 2-3% of the overall loan amount and is usually 3 to 5 years long. What you should consider before determining the lock-in period is the probability of an emergency happening where you’ll have to fork out money, having to sell off your house in order to do so or if you were offered a better interest rate and decided to refinance your home. The best option would probably be to go for a shorter lock-in period for the purpose of flexibility, but don’t opt for a shorter term if you have to pay a higher interest for it. Nowadays, there are a few banks that offer a loan without a lock-in period, so do your research beforehand. Loan Legal Charges, How Much You’ll be Paying for it? Getting a home loan usually comes with legal loan charges that include a loan agreement fee (1% for first RM150,000; 0.7% of the remaining value of loan under RM1 million), stamp duty (0.5% of loan amount), legal disbursement charges and government tax on legal fees. If you are unsure on how much the total amount is for these loans’ legal charges, there are a few online sites that aid with the calculation by just putting in the basic details of your home loan purchases. And if paying for these charges seems like a heavy burden on your shoulder, look for a home loan that offers ‘zero moving costs’ where the bank usually absorbs some or in certain cases, all of the previously mentioned cost and charges. However, there’s usually a catch to this. The home loan that offers zero moving cost usually comes with a slightly higher interest rate, so make sure that you have done a thorough calculation on which option would be cost-effective. Well, that basically covers the overall fundamental information that you need to know regarding a mortgage home loan. Let’s move on how to prepare yourself for the process and documentation. 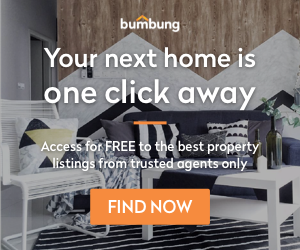 If you’re financially ready to purchase a new property, head on to bumbung.co to find your dream house. You’ve probably chosen the best pick of home loan for your finances by now though preparing the right documents for your home loan application will not be a walk in the park, especially if you don’t know what to compile from scratch. You don’t have to stress yourself out any longer, as we walk you through the process and the documents required for you to be fully prepared for a mortgage home loan application. The difference starts from whether you are a hired employee or a self-employed working in Malaysia. For hired employees, you’ll be required to provide the following documents to showcase your creditworthiness and also for the bank to determine whether you’re a commission based earner or receiving a fixed income. Latest 3 months personal bank statement (Basic Earners) or 6 months (for Basic + Commission Earners) to prove that your salary is credited in accordance with the pay slip. Deposit statement (Fixed Deposit, ASB or Bonds) to prove the credibility of your emergencies fund. Prepayment: It is when the lender makes an excess of payment. The entitlement of the excess payment will be based on the type of loan. So there you go, folks! These are the necessary information that you ought to know before choosing the right mortgage loan and the requirements to apply for them. Do look out for our next article, where we tackle what are the legal processes, documentation, and payments that you’ll have to counter before you finally seal the deal for that dream home. Still searching for the right property? Head on to bumbung.co to begin your search!